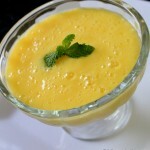 Mango Lassi is a mango drink made out of ripe mangoes and yogurt. It is a wonderful mango drink perfect during summers. 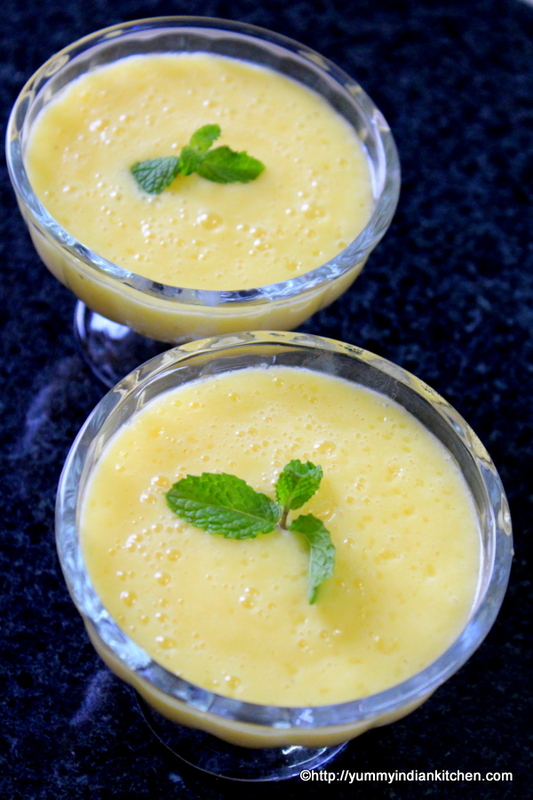 Punjabi lassi is made without using any fruits but mango lassi is made using ripe mangoes. Mangoes are available in plenty and eating just plain mangoes is quite boring. Making variety of recipes using mangoes and having them in different ways is a good way to serve kids and other family members as well. Here, I decided to share a drink which has yogurt mixed with mango for this summer special drink. Lassi is a drink made using yogurt and sugar and malai(cream), but modifying such wonderful drinks with fruit flavors is an interesting way to serve the drinks. 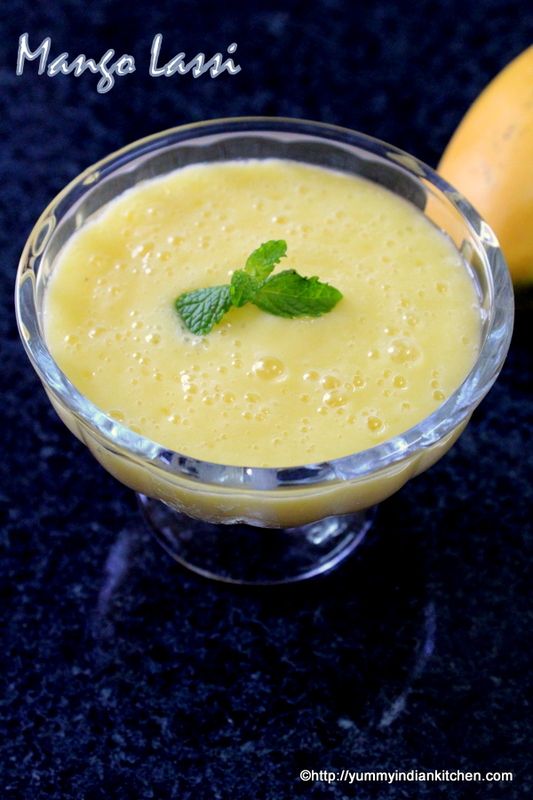 Mango Lassi is quite simple in making and can be made in a couple of minutes. It just needs few ingredients and a blender to make this fruit flavored drink. I would love to share many more mango recipes that can be made from ripe mangoes and raw mangoes as well as I continue writing recipes. This mango season enjoy this mango drink which is mango lassi. Mangoes are seasonal and they are available in plenty only during summers in India and they should be used to the fullest by trying out various mango delicacies and today I am quite excited to share another mango delicacy for my blog readers to try it out and share it with everyone. 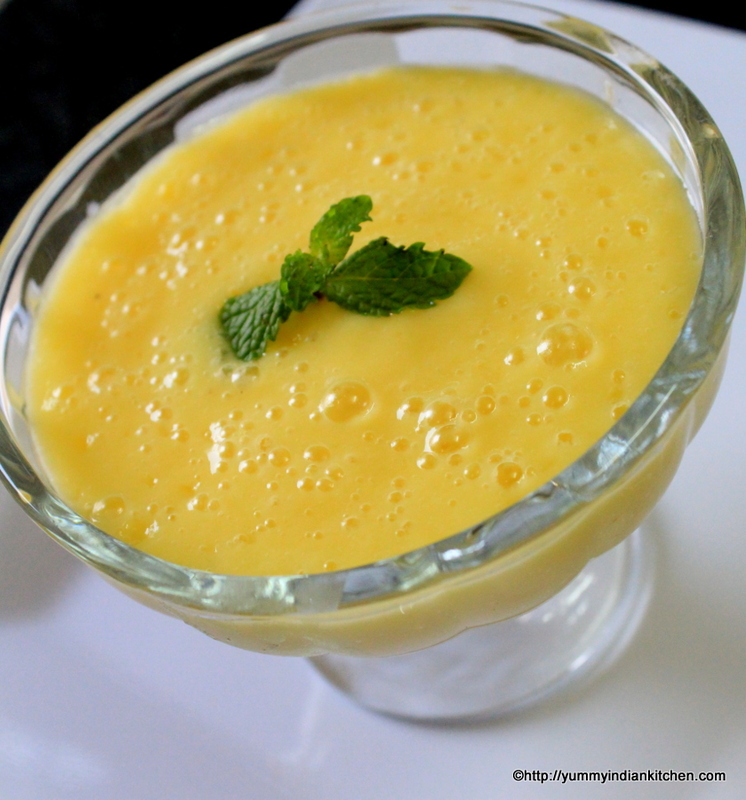 A quick and easy mango lassi made using ripe mangoes and yogurt. Firstly, peel the ripe mangoes and dice the mango slices into fine cubes. Take a blender, into it add diced mango cubes. Add sugar, yogurt, cardamom powder. Blend it for about 2-3 minutes. Add chillied water and ice cubes if required. Blend all the ingredients for few seconds. Take serving glasses and pour the mango lassi into the glasses.